Through an ongoing partnership with Royal Philips, a global leader in healthcare technology, New York State's largest healthcare provider Northwell Health has improved clinical outcomes and patient satisfaction through the utilization of the Philips Virtual Hospital Service, complete with eICU (Electronic Intensive Care Unit) technology, a Telestroke program, and a wearable biosensor. The partnership began five years ago, and first focused on developing an eICU platform to enable providers from a centralized telehealth center to support bedside care remotely for critically ill patients in the ICU. During the first two years of the program, the partnership collected comparative data from ICUs to identify potential tele-ICU locations where the technology would be the most impactful. In addition, the Philips virtual care enterprise software suite - known as the Philips IntelliSpace eCareManager - collected further data from patient EHRs (electronic health records) to provide Northwell Health with a comprehensive view of its ICU units. Since implementing the eICU program and eCareManager - as well as a Telestroke program, which connects the telehealth center, stroke care teams, neurologists, and ED (Emergency Department) clinicians to evaluate patients and manage care during the time-sensitive acute stroke phase - Northwell Health has seen incredible results. ICU mortality has been reduced by 20%, the number of patients assessed and prescribed lifesaving blood clot medication has doubled, and organ donation referrals have also doubled. "Our ultimate goal is to move from reactive to proactive care," said Vice President and Chief Technology Officer at Northwell Health, Dr. Purna Prasad. "This is much easier said than done, and it's difficult to be proactive when the full patient view isn't easily accessible. Through partnering with Philips, we've been able to use technology to build on the resources we already have, like our top notch staff, and become more efficient - ultimately better serving our patient population and delivering better care." On the back of these successes, Northwell Health has now expanded its relationship with Philips to pilot a wearable biosensor program within emergency departments. The biosensor can be placed on patients immediately upon picking them up for transport to hospitals, and automatically and continuously measures heart rate, respiratory rate, and posture, and detects falls. "We need to get the pulse of the patient before they come into the geographic area of the hospitals," said Prasad. "Hospitals are hosts of sick people. Preventative care pays off not only financially but also from the health quality point of view. How do we basically start monitoring a patient that we've picked up in the parking lot or in the house or as they're walking to the ICU because they cannot breathe? In the ICU, the nurse to nurse pressure is always a challenge. How do we use technology so that there is a third set of eyes that can provide care?" The wearable biosensor could well be the answer. 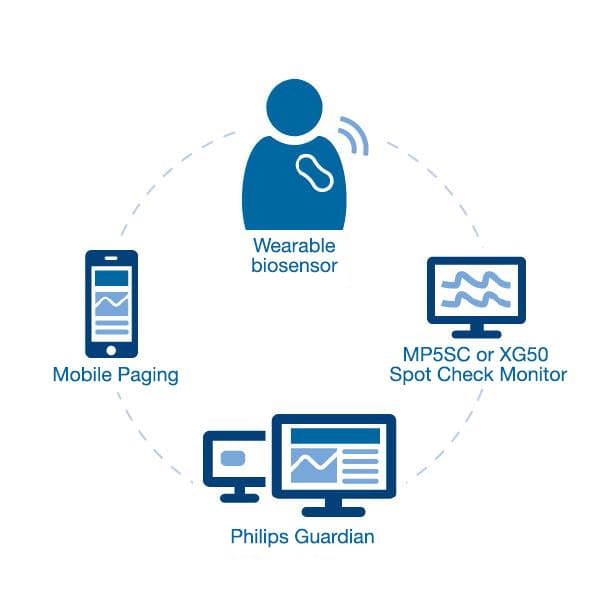 The data it collects is transmitted to Philips IntelliVue Guardian software, which analyzes it and notifies a clinician immediately if there are any signs of deterioration. Patients enrolled in the program have indicated high levels of satisfaction. 80% considered the biosensor to be an example of "innovative care", and 73% said that they felt better taken care of when wearing the sensor. In addition, 95% rated the sensor as comfortable to wear on their chests. Further to improving clinical outcomes and patient satisfaction, Prasad said that the innovations are enabling Northwell Health to determine and provide the right set of care to patients earlier and earlier in the treatment lifecycle. "We are excited to go forward with this innovation strategy to catch the patient before the patient becomes a real patient, and add this continuum of care from the ED to the ICU to the home, and hopefully keep them there for a long time," he said. Moving from reactive to proactive care is always going to be a challenge. But Northwell Health's innovative solutions in collaboration with Royal Philips is measurably improving outcomes, and, importantly, in a fashion that patients are overwhelmingly satisfied with. "Across the hospital, from the emergency department to the ICU to the general ward, clinicians are attending to patients with a wide variety of monitoring needs," said Carla Kriwet, CEO Connected Care and Health Informatics at Philips. "We know that continual monitoring is critical to caregivers so they can detect early deterioration, and Northwell's experience shows how innovative solutions enable hospitals to reach the quadruple aims of healthcare: Better clinical outcomes, lower costs and improved patient and caregiver satisfaction." 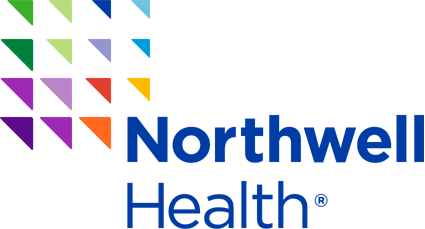 You can hear Sven Gierlinger, Chief Experience Officer at Northwell Health, speak at NGPX 2018 this November at the Rancho Bernardo Inn, San Diego, CA.